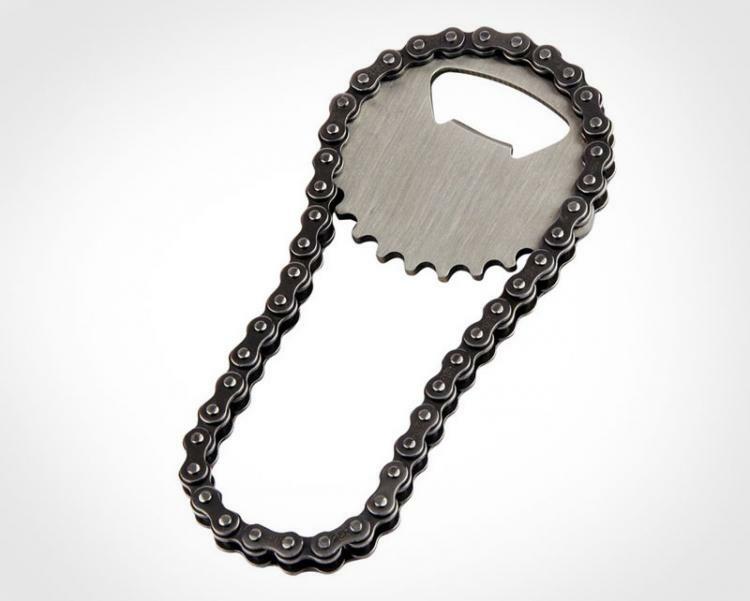 The bike chain bottle opener is a sprocket shaped bottle opener that has a bike chain wrapped around it, and is a perfect gift idea for a bicycle enthusiast, motorcycle enthusiast, or really anyone who enjoys a chain powered vehicle that also enjoys ice cold brewskies. 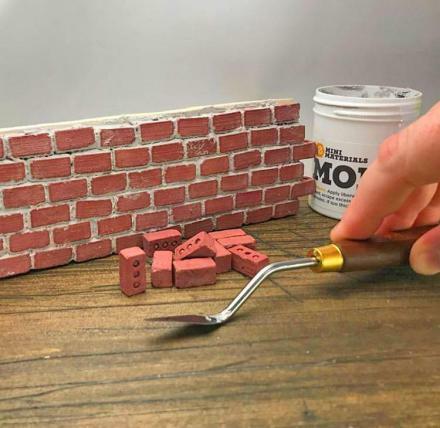 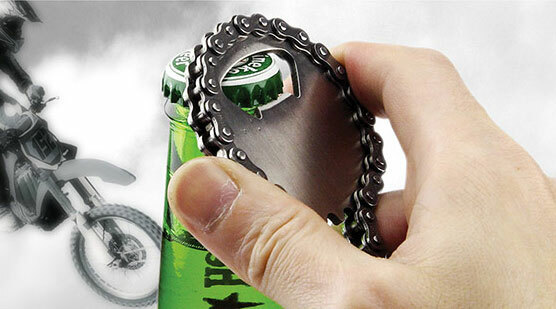 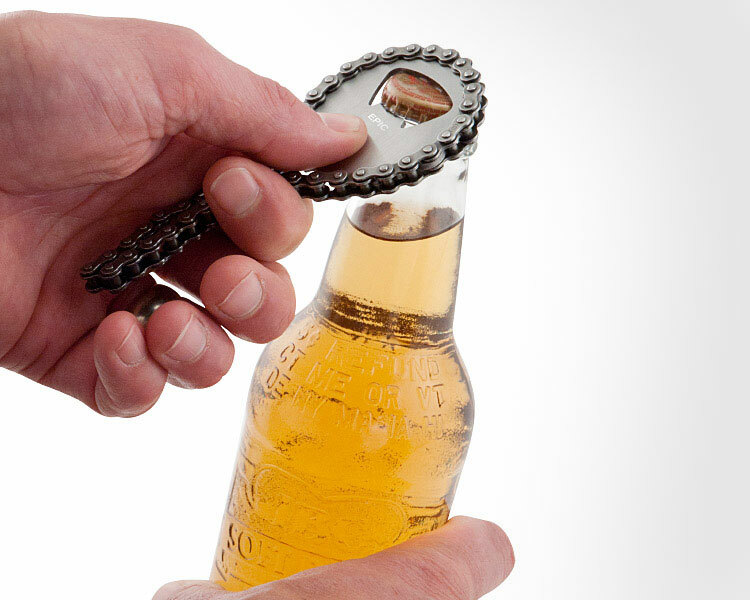 Not only does it open beers, but it will also give you practice putting your chain back on your bike when the chain falls off, just make sure you oil it up at least once a season to make sure you get that black grime all over your hands and beer when you use it. 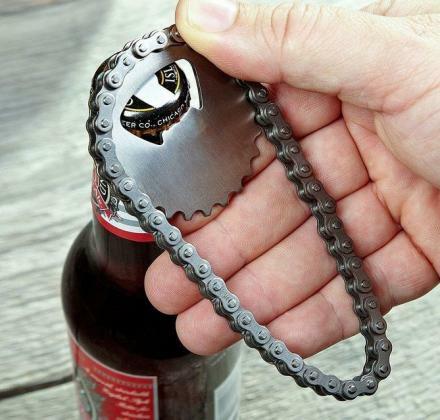 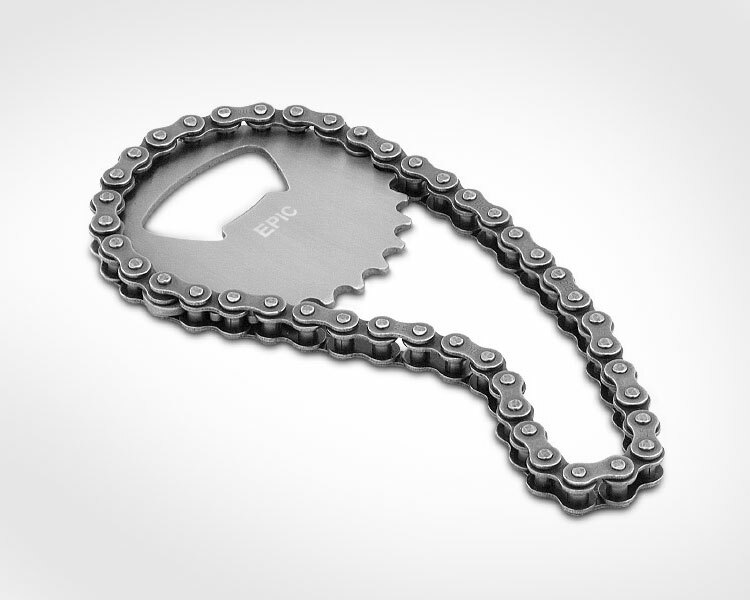 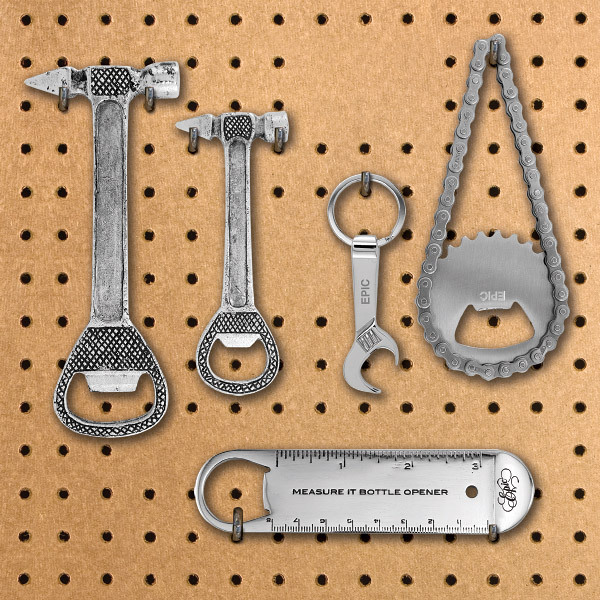 The bike chain bottle opener is made from an actual sprocket and bike chain, measures 5 inches long x 2.25 inches wide, and will go perfect hanging in your garage along side all the rest of your tools.